At the rate our petrol prices are increasing, it’s quite natural to want to trade in your fuel-guzzling vehicle for a hybrid or something electric. That is, if you have all the money in the world. For the rest of us, simply driving smarter could improve your car’s fuel efficiency in a big way! 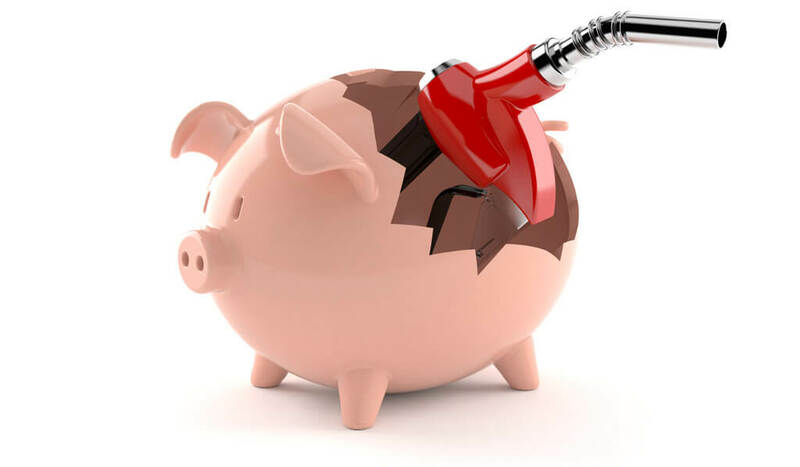 A few tips and tricks never hurt anybody, especially when it comes to cutting down on costs. So, here are a handful of clever ways to improve your car’s fuel consumption, some of which may surprise you. Did you know that by checking your tyre pressure at least once a month you’re also saving on fuel? Tyres that are not inflated optimally burn more petrol, costing you more at the end of the day. So, set yourself a reminder and get those puppies properly pumped every four weeks, or whenever you stop by a service station – whichever comes first. Battery cables that are corroded cause your alternator to work harder, using more fuel as you drive. It’s therefore a good idea to have them checked and cleaned whenever you have an engine check-up, or anytime your car goes in for a service. When it comes to your car’s motor oil, it’s best to stick to the exact type recommended by your vehicle manufacturer. They will always suggest a motor oil that promises improved performance and better fuel mileage specific to your car. Using an oil that hasn’t been tested on your vehicle model means that your engine might be working overtime – leading to more fuel used. While many believe that keeping your air conditioner turned off and your windows open decreases fuel consumption, we’re here to burst that bubble. A car’s fuel efficiency has a lot to do with aerodynamics, so travelling at high speeds with the windows down impacts fuel efficiency because of the increased drag your engine has to fight to overcome. Your car consumes more fuel in lower gears when accelerating, so shift into the highest possible gear the car can handle while driving. Also, try to resist rolling down that hill in neutral because, contrary to popular belief, this doesn’t save fuel. While the engine is idling it is consuming a minimal amount of fuel. However, as the engine winds down further, it begins to work harder to prevent your car from stalling, and actually ends up using more fuel. And here you thought we were going to tell you to drive less, walk more or car pool! All of which are great, but if you’re not ready to part ways with your four-wheeled friend just yet, these tips and tricks are guaranteed to get you further. Happy saving!